German punk rock big leaguers, Donots, are currently doing the festival circuit in their native mutterland, and lead singer Ingo Knollman tells us the typical weather for the festival season is “grey, grey, rain, rain, and more rain!” We speak to the singer about the punk scene in Germany and their upcoming 1,000th gig; and also to keyboardist and live engineer, Robin Volkert, about the band getting the most out of the latest audio technology in the studio and on the road. As we speak, the band are on their tour bus in the centrally located town Eschwege, where they’ll later be playing at the huge rock festival, Open Flair. Donots are quite easily the biggest punk band in Germany, but beyond that have done the impossible, breaking out of Europe. For two decades, they’ve been constantly part of huge punk tours in the States and in the UK. In fact, when Knollman asks me to 'name another German band apart from Rammstein', I admittedly can’t. They’ve been going since 1993, and after supporting the likes of Blink-182 and Anti-Flag, the quintet were signed with Sony BMG – although they’ve since had even bigger success since going independent. They’re currently based in the beautiful city of Münster, not far from their home town of Ibbenbüren. So I wonder what prompted them to suddenly release music in German, despite their international reach, and not wanting to be stereotypical Germans? "Now we do all our recording using only RME equipment." Given they’ve been around so long, it’s perhaps unsurprising that this December, Donots will play their 1,000th show as a band. Nonetheless, it’s a great milestone for them to reach to attest to their longevity. Donots' engineer and touring instrumentalist, Robin Volkert, has helped enhance the band’s sound using RME’s audio interfaces, both in the studio and in concert. 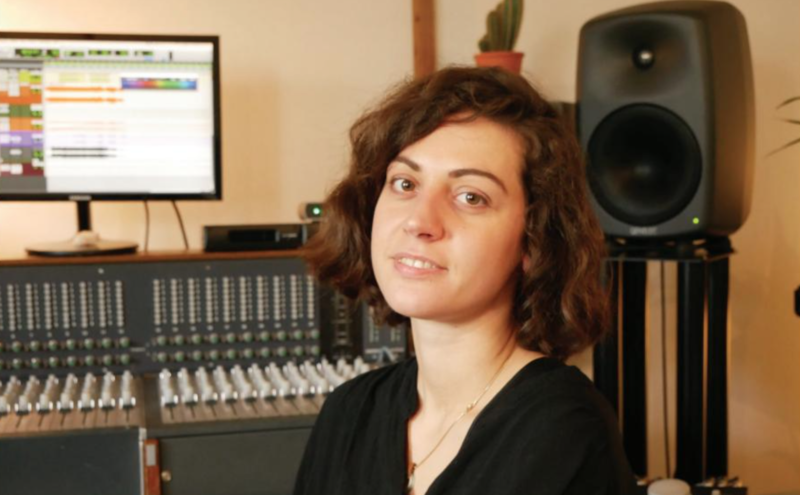 “Last year when we built our studio,” Volkert tells me, “we acquired three Octamic XTCs, eight channel preamps with MADI connection, and the new MADIface. We use 24 channels when we rehearse, with drums, samplers, guitars, keyboards, and vocals, so we need the RME software to monitor everything for us. It does the job great. “I once tried it with a Lemur interface to control the mix, but it just didn’t work right out of the box – it was a little complicated to set up. Now we do all our recording using only RME equipment, and we’re totally happy with it." “When the band is playing live, we use an iBook with a Fireface 800, which I also really like; then we use Ableton for the MIDI controlling. And wherever we are, the RME software is always in play; it has made everything so much smoother for us in terms of workflow, and the audio quality is always fantastic, of course." So what's next for Donots then, Ingo? And for some reason, Knollman tells ms, the UK market has always been the toughest market to break for the band. So if you’re one of our UK readers, make sure you listen to Donots and then show them some love afterwards. Headliner certainly wishes them well in getting to 1,000 shows, and hopefully many more.